Well hello there! 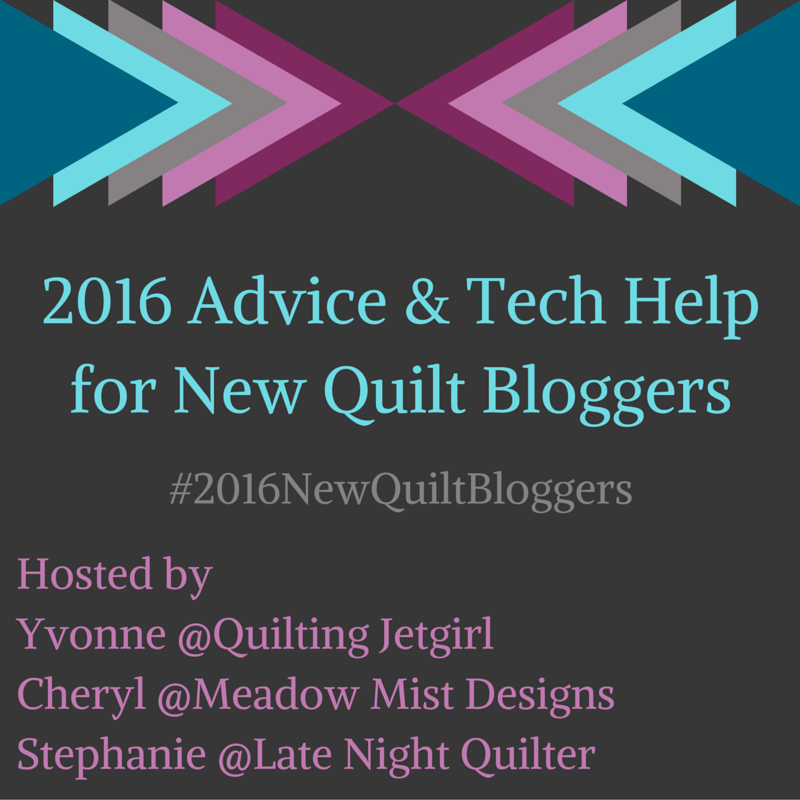 If you are on the 2016 New Quilt Bloggers Blog Hop Week 3, then you are in the right place!!! Welcome to my blog, I’m very excited that you are here! My name is Amanda and I am a quilter, a mom and I work full-time as an X-ray technologist. Quilting fulfills my need to be creative so I can then go on and do my other jobs. My little tribe and myself are livin’ it up in the big city, Edmonton, and enjoy the many parks and fabric shops this town has to offer. Yes, I take my two little ones to the fabric shop and often come home with something I did not intend on buying like quite a few meters of poly/cotton broadcloth. It was a pretty color and only happened once. At one point I really wanted to have a defined quilting style, in reality I really enjoy making what ever catches my fancy. Really, I love to sew squares and rectangles together with a few triangles and curves thrown in the mix. Below are some of my favorite makes. Open – a modern traditional quilt…full blog post and free pattern found here! 8-Point Star…full blog post found here! Improv Quarter Circle Mini Quilt…full blog posts found here and here! Does Not Compute…full blog post found here! This blogging thing is fairly new to me and I still have lots of kinks to work out and content areas to explore. However, my little tid-bit of info for my fellow bloggers is about generating HTML code for grab-able buttons. I use this website, </nosegraze>, to generate code. I make sure to grab the second option of the generated code, the one that includes target=”_blank” after the website address. The target=”_blank” portion makes the website open in a new tab which makes it easy for readers to navigate back to what they were reading previously. I have a life-changing quilting tip to share with you all. Well, not quite life-changing but something that certainly makes my process more enjoyable. I am a total pressing vs. ironing convert with homemade pressing board in use. For years I though, pfft what is this pressing business and went on unawares that I was distorting my quilt blocks by mooshing them around on my soft ironing board. I watched Cristy Fincher on Periscope one day explain the fine details of what I had been missing for years. So I looked up her Pressing Board Tutorial, made my own and haven’t looked back since. Press you guys, lift your iron up and put it back down on your work with a little bit of umph. It’s great. As a bonus tip, I use this recipe to the left in a spritz bottle to help lock down and flatten out seams as I press. I’m not one to have too many gadgets and extras around, but this one is easy to use and quick to replenish. And ’cause hey, what quilter couldn’t use a little cocktail during the day. Here’s a quick question for you, do you prefer to make square or rectangular quilts? What shape are you drawn to? What shape do you totally shy away from? 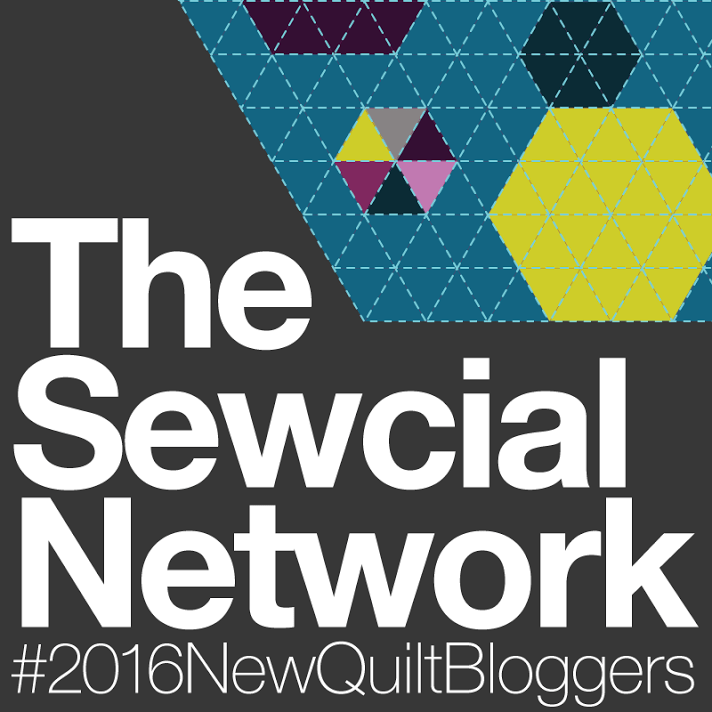 I am a part of The Sewcial Network hive for the 2016 New Quilt Bloggers Blog Hop, hop on over to my hive-mates’ blogs and check out what they are about! Also, head on over to the absolutely fantastic organizers’ blogs for more bloggy goodness, to read blogs from the other hives and to enter the awesome give-away. Yvonne, our hive leader blogs at Quilting Jet Girl, Cheryl blogs at Meadow Mist Designs and Stephanie blogs at Late Night Quilter. Hey-o! Didn’t realize you are also Canadian. I really like your quilts. The robot one is fabulous. I am and I appears that we are a province apart. Thanks for stopping by the blog. Have a wonderful long-weekend 😊. I need to learn to scroll further before I go looking for a different way to comment, hahaha! So nice to get to know you a bit more. I love, love, love your Does Not Compute quilt. Too dang cute! Thank you Jen for stopping by. Yes, every blogging platform and theme seem to put the commenting section in a different spot. I’m glad you found it. Cheers! Love your photos of your quilts! I designed and made a robot quilt for my grandson, and yours is great too! Thanks for stopping by my blog on the blog hop. Just an FYI, you showed up as a no-reply blogger when you commented on my blog. So great to get to know you better! Great introductory post, Amanda! I have to make a robot quilt soon so I’ll have to check out that pattern; yours turned out wonderful! Also thanks for the pressing recipe; I’ve heard about it but haven’t taken the time to find one. I’ve only made rectangular quilts. Thank you so much for stopping to visit! The robot quilt was lots of fun to make. Happy hopping 😊. Found you via the blog hop and thoroughly enjoyed your post. Glad to see I’m not the only one who comes home with extras from the fabric shop! These days they are limited to one fat quarter each. 🙂 Note to self: press, not iron. And I love, love the robot quilt! My son would be over the moon! Thank you Michelle for stopping by! That robot quilt was so fun to make and in hindsight should have made it twin size. Enjoy the rest of the hop!!! Great to meet you Amanda! Love seeing your quilts, they’re beautiful. I also have my own best press recipe that uses vodka! I did lots of trial and error and actually use a bit of cornstarch with it. My favorite quilt shape is anything that fits through my machine since I like to quilt my own tops. I guess that’s why I have a beautiful queen size top just sitting in my closet until I can afford to pay a long armer to quilt it for me or I learn to use a long arm and rent one. Thank you Diana for stopping by!!! I also have some bigger quilt tops sitting in the closet waiting to see the light of day. Enjoy the rest of the hop 😊. I absolutely avoid diamonds and hexies. Thank you for introducing yourself. Look forward to more reading. Thank you Rochelle for stopping by! I hear you on the diamonds and sewing hexies on the machine. I don’t mind EPPing hexies though. Enjoy the rest of the hop 😊. Great post Amanda! You do a fabulous job juggling it all – what a great example you are for your children!! I’m an “ironer”, I vow to learn from you and change my ways! I am in awe of all your talents, including photography. Your quilts are inspirational to me and I look forward to the QAL with you. I very much dislike triangles but am learning interesting ways to do them easily :-). Keep up the great work Amanda, so proud. Thank you Aunty Jo for your lovely comment. I’ve had lots of wonderful role models to learn from 😜. I’m super keen to see what everyone comes up with in the QAL. Lovely, lovely, lovely! Thank you for sharing your background and your quilting tips! I create both square and rectangular quilts, but I work in a quilt shop and find that more customers purchase rectangular quilt patterns. Thank you for stopping by! And thank you for your insider observation about what shape quilters gravitate to! Happy hopping 😊. Your post is great. I will have to give vodka a try. I usually don’t starch at all, but for some projects I am noticing that my lack of precision is bothering me. Your quilts are great – I really like the pop of unexpected color, rather than an even distribution. I typically make rectangular quilts rather than square. When I make square ones they just seem too short. Thank you Jennifer for stopping by! That is what it is for me, using a pressing board and spray helps me achieve a level of precision and consistency that helps a quilt top come together easily. Enjoy the rest of the hop 😊. Love all the quilts you shared today! Great colors! Thank you Jodie for stopping by! Enjoy the rest of the hop 😊. Amanda, what a great post! Your quilts and blog are amazing! I made my press board made from a video tutorial by Christy’s mom. Thanks for the the great tips, especially the website to generate code! Thank you Paige for stopping by! I hope you enjoy the rest of the hop 😊. Great looking projects! I’ve added my name to follow you! Thanks for sharing! Thank you June for stopping by! I’m going to check out your blog as well. I hope you enjoy the rest of the blog hop 😊. 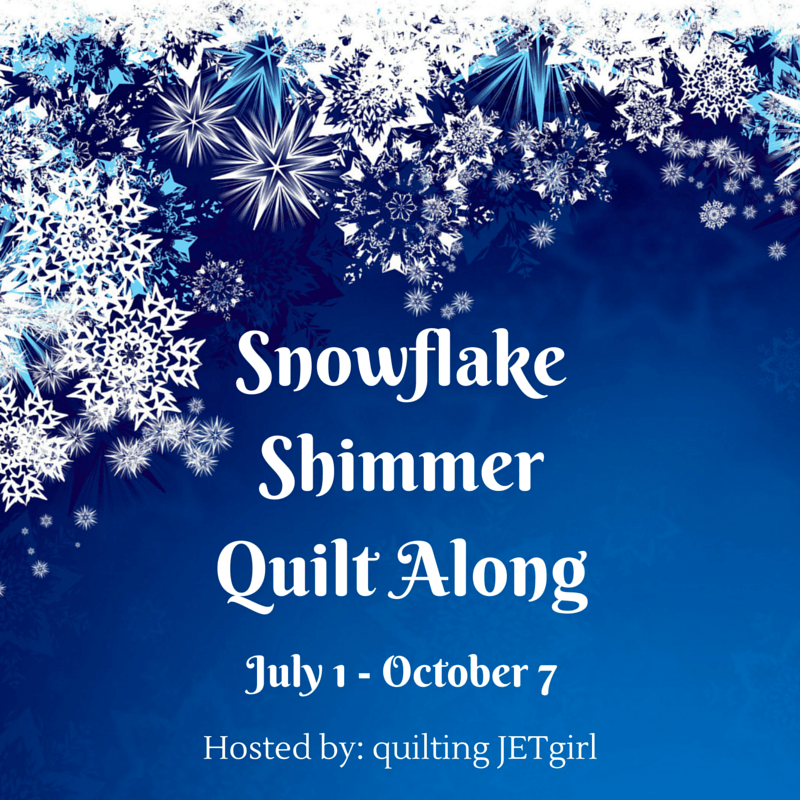 Fantastic post and your quilts are so gorgeous! I used to want to have more of a defined quilting style too. I think I’m slowly finding it, but I also tend to just go with whatever I’m feeling at the moment, which is usually a bunch of squares and triangles like you said – with granny florals thrown in for good measure. 😋💐 I love the starch cocktail recipe. Definitely trying that one and I’m thinking about making a pressing board too! Thank you Amanda for stopping by. I don’t really drink a lot of Vodka, but now have it at the ready in the freezer when the mood strikes or I need more spray. How is your summer so far? Lol, Vodka. I learned to bowl with those little balls and 5 pins when I was little. I wonder if it is a Canadian thing. We’ve had a few Xmas bowling parties here but always with the big balls. Those things are heavy! We are having a good summer so far! Cheers. Somehow I found you on Instagram before making it here. I love your quilts and quilting style. You take great photos as well. It’s nice to read a bit more about you. Wow, thank you Lisa for stopping by! I hope you enjoy the rest of the blog hop 😊. Visiting from the hop, very nice quilts! Thank you Carole for stopping by. I hope you enjoy the rest of the hop 😊. Wonderful to meet you, Amanda! Your quilts are exactly what I think of when I think of modern quilts. Your use of color and negative space is terrific. I’m especially smitten with you those gorgeous colors you chose for the Facets+Plus quilt. Looks like a great quilt along. I’m in awe of how you juggle job and family and still find time to quilt. Bravo! Thank you Karen for stopping by! And for all of the quilt ❤️. I can’t say that I’m really winning the work/family/quilting battle. I usually pay attention to whom ever is screaming the loudest, and sometimes it is me for some quilting time! Enjoy the rest of the hop 😊. Well done Amanda! You know how I feel about your gorgeous picture presentation! I certainly still have your pattern “open” in my bucket list and I’ll keep you posted. This forum has been really amazing as I recall thanks to your encouragement I’ve given spiral quilting a go and totally loving it. Great tips too and I always intend to press my seam but absentmindedness makes me just squish and iron away sometimes. It makes such huge difference though. I am also on the blog hop today and just getting round to read the other posts. Very nice to get to know more about you. Hi Amanda! It’s been wonderful meeting everyone on the blog hop. I’m in Mis-Bee Hivin’. I’ve seen the starch alternative tip before but had totally forgotten it! I’m thinking it’s gotta be cheaper than Best Press which is essentially the same thing. Must check that out. I will totally me too the pressing tip. I was dismissive of it when I was a beginner as well but let’s just say that over time I learned that I really need to press correctly if I wanted to have any chance of my quilts coming together. Speaking of quilts, your favorite ones are awesome! And you’ve photographed them so well! So glad I came to visit. Thank you Jennifer for stopping by!!! I am so happy I decided to look into pressing and a pressing board. It makes all the difference! Cheers! Hi Amanda – really enjoyed your post and your quilts. The are really beautiful, and your photography is great at showing them off. I’m on the blog hop today too over on Miss Bee-Hiving’. I really do think the photography has been the hardest part of this blogging thing for me. I will definitely look up the pressing tutorial – I know I am guilty of not doing that quite right! Thank you Ann for stopping by! I will be hopping to the other blogs tonight when I get home from work! I take a little break from my family once and a while and go out and shoot. It’s nice to get away for a bit! Enjoy hopping!!! Amanda your quilts are so AWESOME!!! I have never seen that idea for the starch alternative. I’ve made both square and rectangular quilts and never really thought if I have a favorite. I’m a true believer in pressing and not ironing my stitches as well. Thank you for your comment Stephanie! I think I do prefer rectangular shapes quilts but seem to design square quilts. The pressing has made such a difference in my piecing, although I sometimes forget what I’m doing and start smooshing things around. Enjoy the rest of the hop 😊. Thank you Tish for your comment! I have never thought of a round or triangle shaped quilt, not even a mini-quilt! Maybe I ought to investigate! Enjoy the rest of the hop 😊. I have enjoyed getting to know you and your work more Amanda. I love the first quilt. Open, and the robot is so cute. Favourite quilt shape? I think I prefer square to slightly rectangular, you know 50 x 60 kind go thing. I enjoy making smaller quilts best, up to 60 inches square, mainly because I can quilt them fairly easily on my home machine of course. If it was much bigger I would have to go to the expense of sending it out, in which case it never truly feels like ‘my’ quilt. Hello Amanda. I’m in the blog hop today with the Mis-Bee Hiven tribe. Loved your post but could not find your comment box to say so on your post so I hope you see this. BTW. I used to live I. Sherwood Park for years so have conceivably been I. The same quilt shops as you. my fav is Loris in SP. Thank you Velda for your comment. It got to the right place! I have yet to visit the LQS in Sherwood Park and might just have to add it to my summer list of places to go! I will hop around to the other blogs tonight after work! Can’t wait to read your post. Thank you Kate for your comment. I hear you on the quilt size. I like to quilt my own quilts as well mostly because I like to control the final look of my quilt. And shoving a large quilt through my tiny domestic is enraging! Enjoy the rest of the hop! I really enjoy your quilts and your photography of them, Amanda. And boy am I also guilty of buying something pretty only to get it home and realize it’s not quilting cotton. 🙂 As far as size or shape of a quilt… I’m open to a bit of anything. For some reason when I think of a really “modern” quilt I tend to make square, lap size quilts, but as long as I can get under it and cuddle, any size or shape works for me! Thank Yvonne for your comment and the quilt ❤️. Lol, I’m glad I’m not the only one who has made a purchasing mistake 😜. I really appreciate your take on the shape of a modern quilt! It is something I will keep in mind going forward as I second guess every square quilt I design! Maybe they are just fine being square! Cheers!!! Thank you Seven for your comment! And thank you for the quilt love. I thought I was being quite daring when I made that 8-Point star quilt. One huge block for an entire quilt, I’ve never done it before!!! Now I’m thinking about a queen size version for my bed! Cheers!!! Thank you Anne for the comment! I agree with the size of a lap quilt! I need to make a cocoon with my quilt and it must cover my nose, winters in Canada eh! Enjoy the rest of the blog hop 😊. Fantastic quilts, Amanda! Your recipe for a starch alternative took me by surprise – I had to read it a few times to make sure and then I was waiting for the punchline. Truly? Vodka? I’m not averse to any other shapes but my go to is rectangular since it’s usually more practical. Sometimes square just works best with a design though. Thank you Sue for your comment! Yes, Vodka! I should say that is makes a light starch alternative. If you want stiffer fabric you would have to use real starch. But I like a light mist of this when I am pressing seams, it just seems to hold down the seam. It’s is similar to Best Press, but that’s too rich for my blood. I would rather spend that money on fabric! Thank you for answering my quilt question. Enjoy the rest of the blog hop 😊. Your post looks great! Love your quilts and the beautiful photos of them. My favorite shape of quilt is a rectangle, and I find that I rarely make square quilts. Thank you Marla for your comment! And thank you for your input regarding my quilting question. My quilt designs often turn out square, but I’m with you, I don’t usually make square quilts. Thank you Beth for your comment!!! I should explain that the vodka/water mixture is a light starch alternative. It’s not heavy enough to starch fabric if you are making hsts for example! I hope you enjoy the rest of the blogs on the hop 😊.